Some birds are too cool for just one name. Others have names that give us pause because they don’t seem to describe, to convey, what that bird is really all about. And then there are the names that are just too damn long, especially for the size of the bird. Try taking field notes on Common Tody-Flycatcher and Scale-crested Pygmy-Tyrant and you will know what I mean. Those feathered tidbits certainly have enough personality to earn such long-winded names but please, could we maybe use a title that requires a bit less work? Forest Football Chicken or FFC (Great Tinamou)– Since tinamou sounds like the perfect representation of an oddly-shaped bird with a small head that gives beautiful tremulous vocalizations, I am sorely tempted to leave this one off the list. 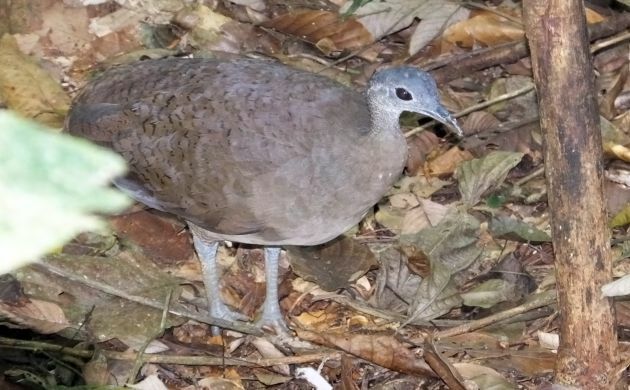 But, since the Great Tinamou tends to be absurdly tame in Costa Rica, I am just as tempted to bestow upon it the alternate name of “Forest Football Chicken”. Yes, in many circles, “chicken” borders on being an insult but when you see a Great Tinamou in action, it’s all too easy for “chicken” to come to mind. As for “forest” and “football”, that pertains to where this species lives and its shape, in this case “football” referring to the sport celebtated on Monday night in the USA, typically accompanied by parking lot shenanigans. Mini Kraken (any of the crakes)– A play on words indeed but a helluva cool one! They might not have ten arms but they do have long skinny toes, creep up when you least expect them, you often need a boat to see them, and then, when you do espy a crake, you can say, “The Mini Kraken has been released”! BV Wannabe (Barred Hawk)– While this could be a low blow for the hawk in question, I’m sorry, it looks way too much like a Black Vulture. 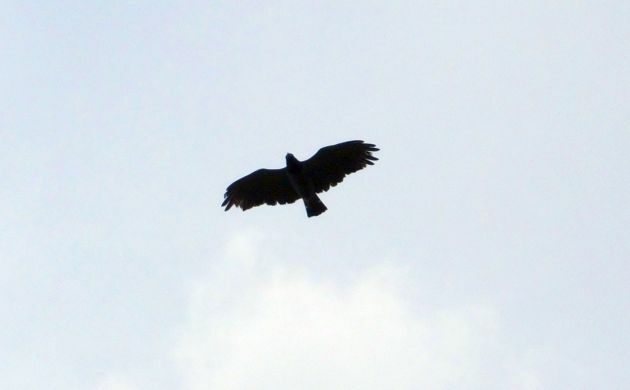 Raptor purists will no doubt harumph and shake their heads in disdain but I insist, take a look at a Barred Hawk the next time you see one, it really is a BV Wannabe, BV in this case meaning “Black Vulture”. Sorry, I’m not cutting good old M. princeps any slack because the bird has not played it so cool with a friend of mine. R. V. G. Cuckoo (Rufous-vented Ground Cuckoo)– I admit that this major mega merits the full name but it sounds even cooler when we refer to it as the R.V.G. Cuckoo because that sounds more like a rap group, race car, trendy club, or some other supposedly cool endeavor. If you saw one, then you could perfectly say, “The R.V.G. Cuckoo is in the house!”. We could just as well refer to it by its genus, Neomorphus. Many a world birder already does and this sounds equally cool, kind of like a super hero from outer space or some other birdy dimension (and that would be fitting given how elusive the R.V.G. Cuckoo really is!). Plushlet (Lanceolated Monklet)– Another one with an already cool name but I feel that “Plushlet” is slightly better because it more accurately describes the plush toy appearance of the tiny puffbird. 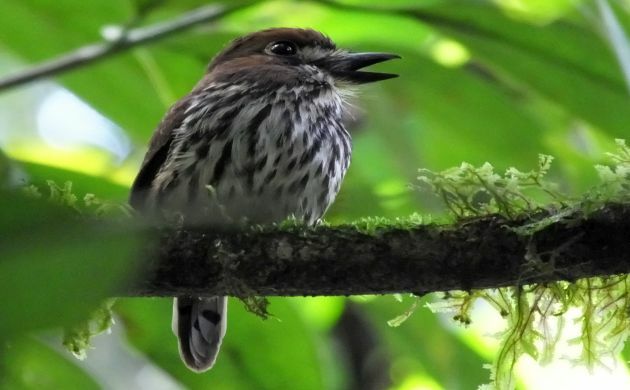 Yeah, tiny puffbird! Think about it and it’s easy to understand why it’s not actually a “monklet” but a “plushlet”. F Bug (any canopy tody-flycatcher or pygmy-tyrant)– In this case, the “F” can refer to “feathered” or a more evocative word suitable for extreme situations. The bug part comes into play because when one sees birds like the Black-capped Pygmy-Tyrant (see how cumbersome that is?) 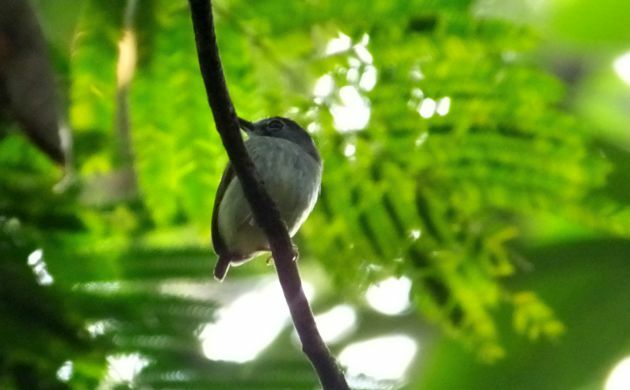 or the Black-headed Tody-Flycatcher (ouch) take flight in the canopy, they are far more similar to a beetle than a bird. Diminutive? More like maybe-an-insect. Beetle? Nope, an F Bug. National Bird (Clay-colored Thrush)– Some folks whom I was guiding thought of this one and they truly hit the bird name on the head. 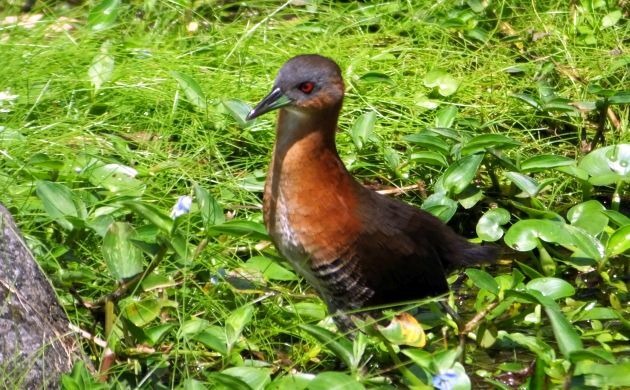 In Costa Rica, we usually call these guys “yiguirro” or “clay-color” but I like “National Bird” even better. It sounds patriotic and rolls off the tongue as fast as you see them. 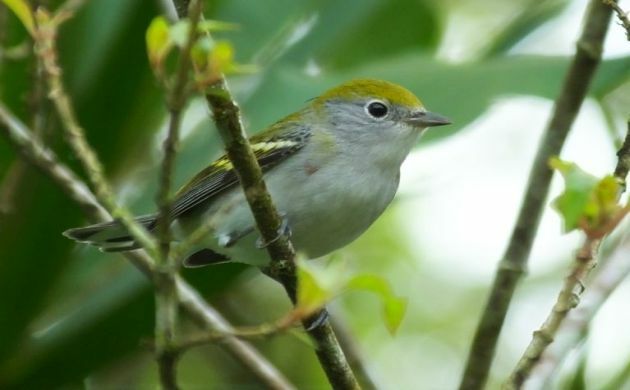 Ubiquitous (Chestnut-sided Warbler)– Go birding in Costa Rica during the winter and you will see what I mean! Some other folks I was guiding also came up with this one and were actively using it in the field. It worked so well, before long, I was also referring to Chestnut-sideds as “Ubis”. Just don’t call them “UB40s”. WTF! 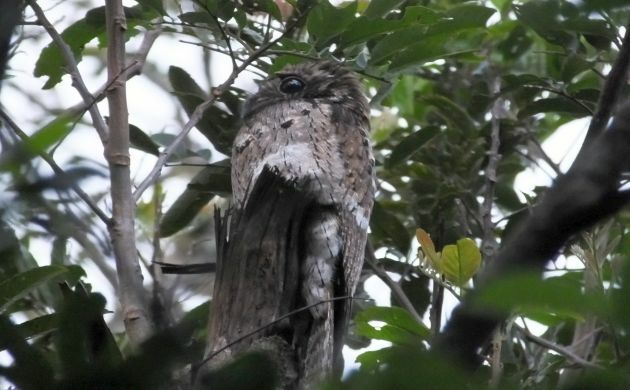 (This would be any of the potoos or birds that act absurd)– This is because you just feel like saying, “WTF!” when looking into the large eyes of a scoped potoo. The same might go for other birds that happen to be acting bizarre and tame such as when a Keel-billed Motmot flys down to perch at eye level just four meters in front of you, when fancy forest birds hang out on roadside cables, or if you ever get into a staring contest with an antpitta. That’s enough new names for now, I gotta go, I think I hear a National Bird and a Ubi back there in the garden.